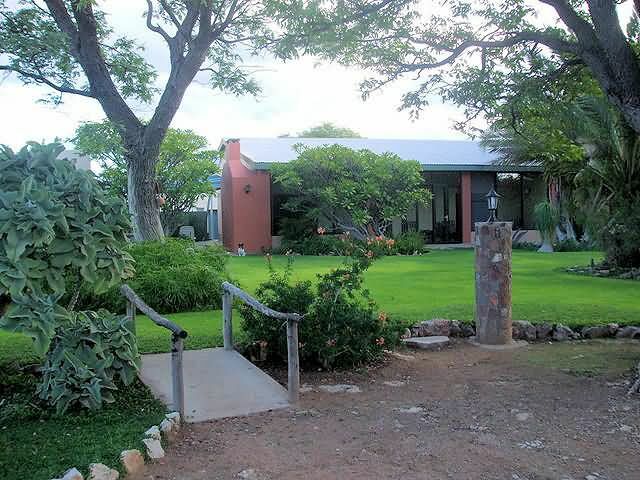 For a unique experience visit Buschberg Guest Farm - a true Namibian farm, 40 minutes south of Etosha National Park. 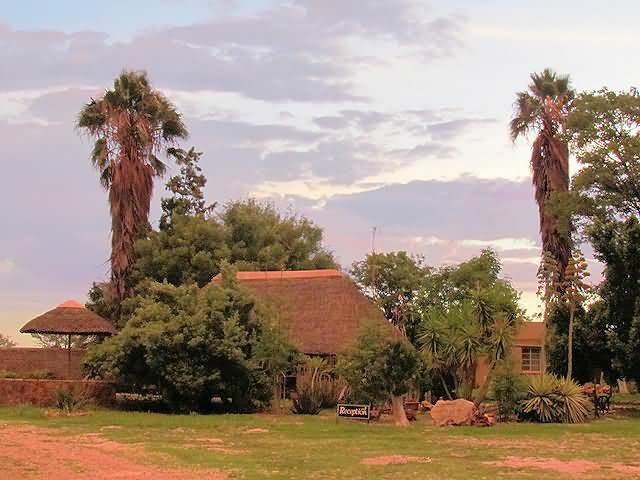 We are also conveniently situated on the way from Etosha to Damaraland and Kaokoland. Please see our map. We are proud to offer clean, affordable and comfortable accommodation. 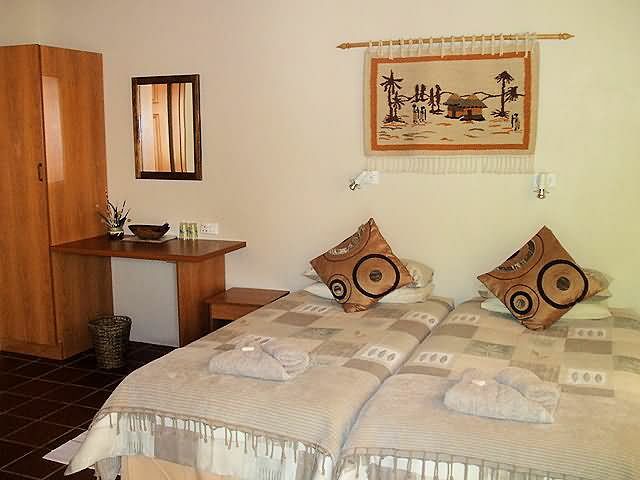 Only three double rooms with en-suite facilities and one family unit are available. Guests can, therefore, rely on peacefulness and personal attention at all times. We serve excellent home made meals made from fresh farm products. Good camping facilities with clean ablution are available. Children are welcome and we encourage contact with farm animals. You will enjoy freedom of movement on the farm and it is save to take walks or go on guided hiking trips On request visitors can be taken on a night drive to observe "night life". Farm drives under the guidance of the host is a highlight of your stay. 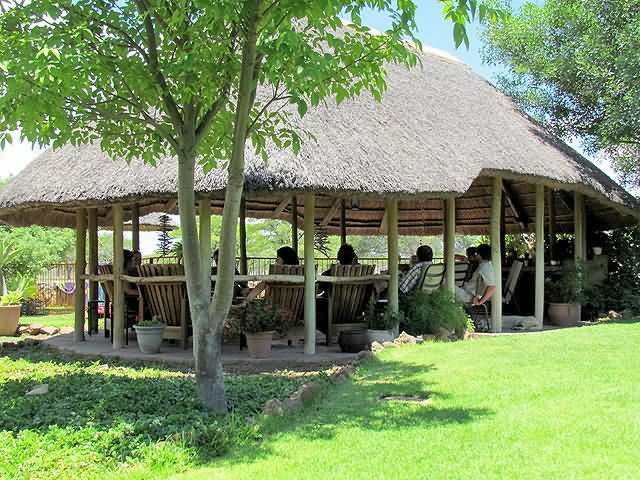 If you prefer a rest, just relax in the lush garden and watch different species of birds. You will also be informed about Namibia, wildlife, nature and farming practices. We, your hosts, Hannes and Anita, are adaptable to the individual needs of our guests. 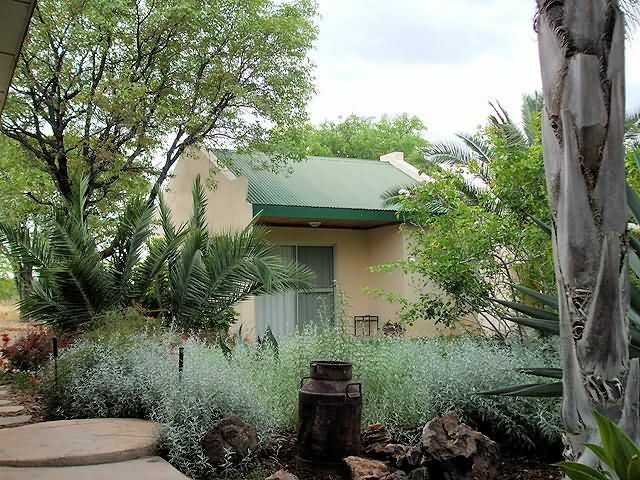 Staying at Buschberg Guestfarm guarantees to restore and uplift your whole being. Telephone, Internet and Laundry facilities are available. No credit card facilities are available.